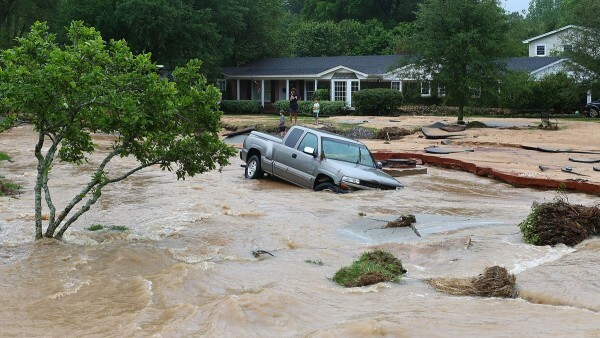 A flood can do a large amount of damage to any unprepared home in a short time. You need to start planning for a flood long before one ever occurs. A few changes to your home and a little preparation can help to protect your house from floodwaters. You should understand a few effective ways to prepare for a flood. One of the first steps should be to raise appliances, electrical systems and cords off the ground especially in the basement or lower floors of your home. The easiest way to do this is to buy or construct platforms that are a few inches off the floor. Put the platform under appliances. Mount electrical boxes or cords high on the wall. You should also consider elevating water heaters and furnaces whenever possible. Just a few inches can prevent floodwaters from destroying appliances or causing other electrical problems. Make an emergency supply kit in case you are trapped by flooding or need to evacuate the house. The supplies you need are a first aid kit, flashlight, important documents in a waterproof bag, some cash and any necessary medications. Put in some water and non-perishable food. Try to have three gallons of water for each person in the house. You might also want to have a spare cell phone in a bag in the kit. Make everything but the water compact enough to be grabbed quickly if you have to evacuate. A preventative measure you can take is to put check valves in key locations. Check valves are one-way valves that can be hooked to your pipes. You can put these near appliances and areas where pipes flow out of your basement. The purpose is to prevent contaminated floodwater from getting into your plumbing, appliances and other key areas of the house. If you are not familiar with plumbing techniques, then have a professional install a few check valves. One of the most important ways to prepare for a flood is by installing a sump pump. This is a device installed in your basement or the lowest floor in your house. If water starts to flood into your house, then the pump activates and begins pushing water out of the home. A sump pump can greatly limit or prevent damage to your home from flooding. You might also want to install a backup sump pump especially in larger houses. The additional pump will turn on if the primary one fails. Additionally, it can be turned on along with the primary pump to double the amount of water being removed from the house. If you live in an area with a high risk of flooding, then you will want to seriously consider floodwalls or enclosures. Both are physical barriers that will hold floodwaters back. They are sometimes put outside a home so that a low flood will not make it onto the property. It is more common to find enclosures indoors. An enclosure is a low wall that completely surrounds something like a furnace or collection of appliances. It can be made from special bricks or even tightly packed sandbags.